Next meeting of Atlantic Yards CDC Tuesday; RSVPs required Monday; will agenda be released? 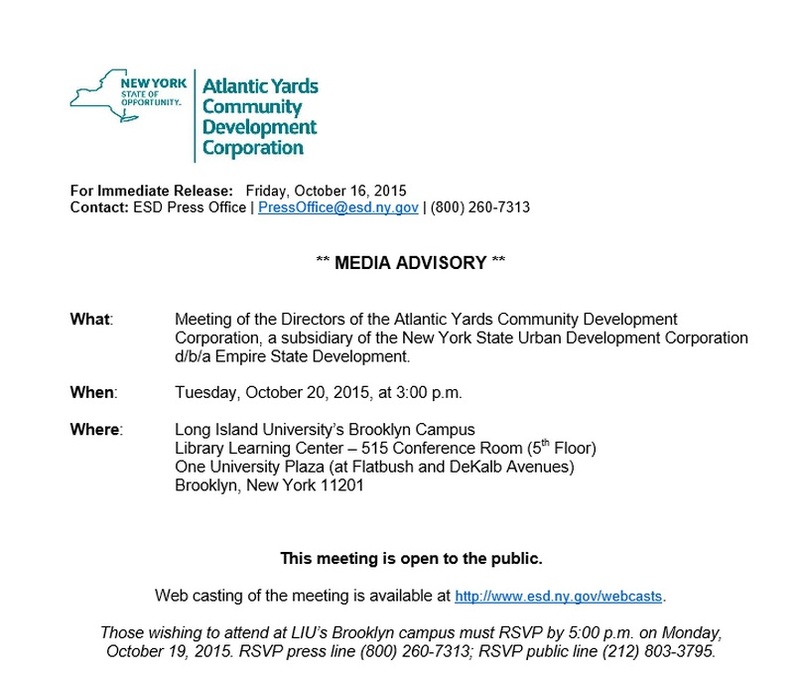 The next meeting of the Atlantic Yards Community Development Corporation (AY CDC) will be held Tuesday, Oct. 20, at 3 pm at Long Island University's Brooklyn Campus: the Library Learning Center/515 Conference Room. The date has long been scheduled, but it was reconfirmed Wednesday by AY CDC Executive Director Tobi Jaiyesimi at the Community Update meeting, and reconfirmed in the media advisory circulated yesterday. Note that RSVPs are required for both the public and the press by Monday. The release of the advisory two business days before the meeting is an improvement on the one-day notice given for the Community Update meeting last week. But real transparency would require the release of the agenda, and board materials, before the meeting. That has never happened. So we don't know what the board is supposed to be discussion.